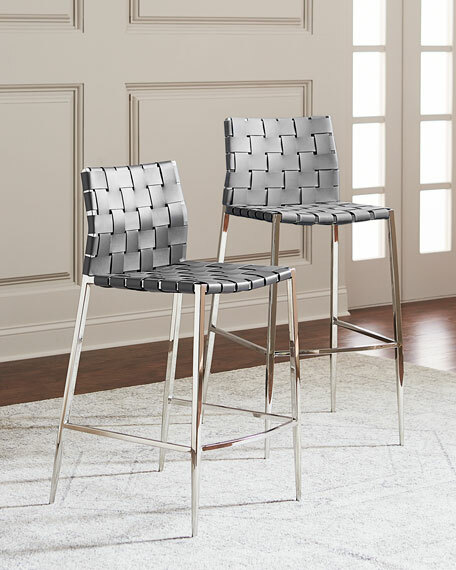 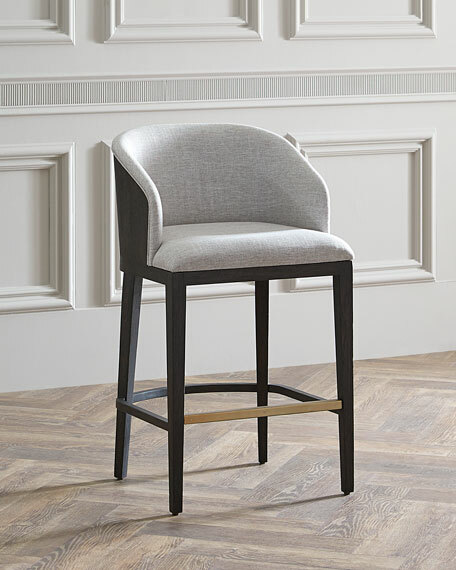 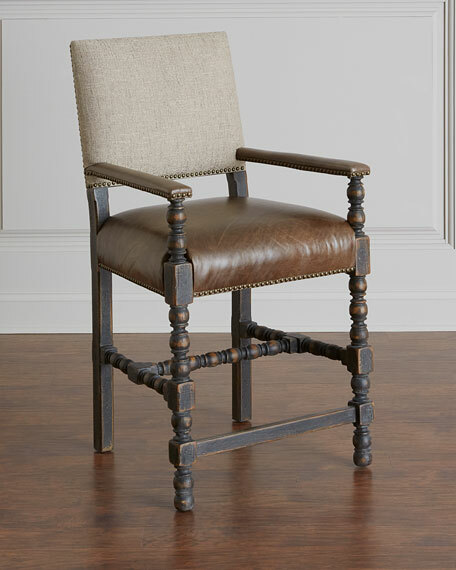 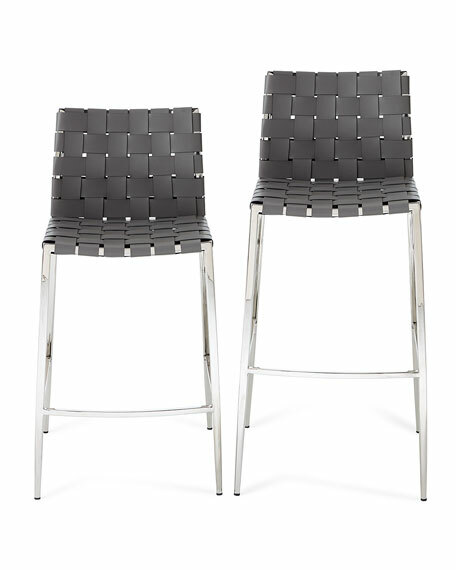 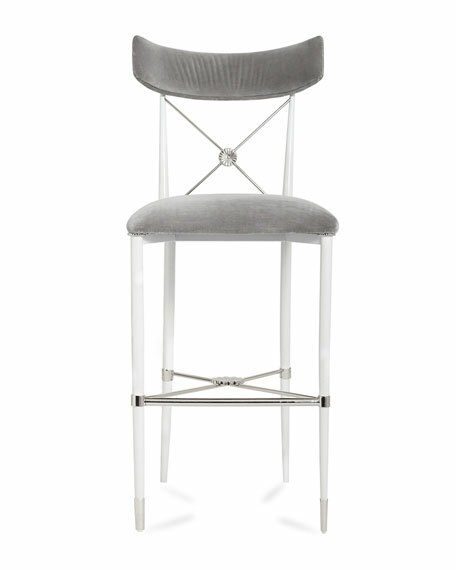 A classic woven counter stool gets a sophisticated update when it features mountain grey bonded leather and stainless steel with a polished nickel finish. 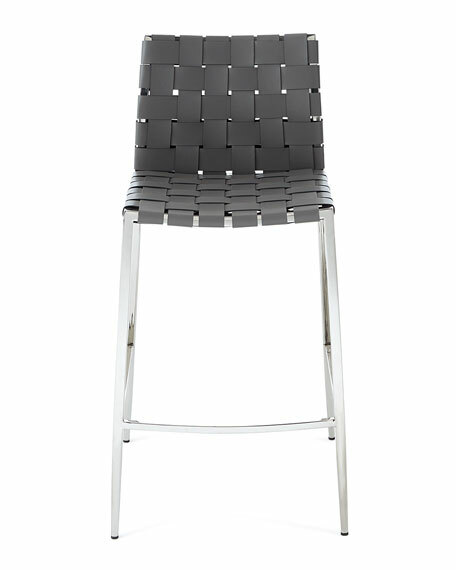 Stainless steel frame; bonded leather seat and back. 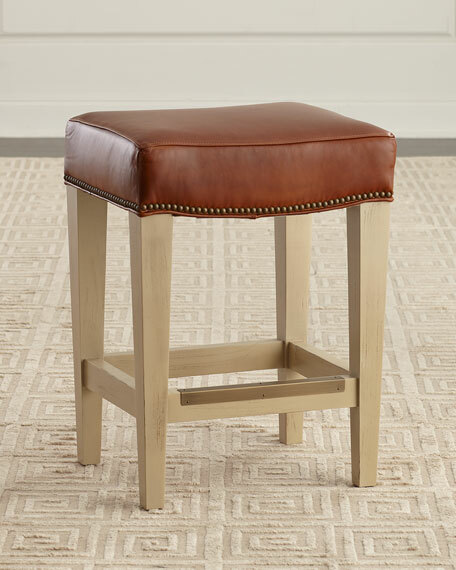 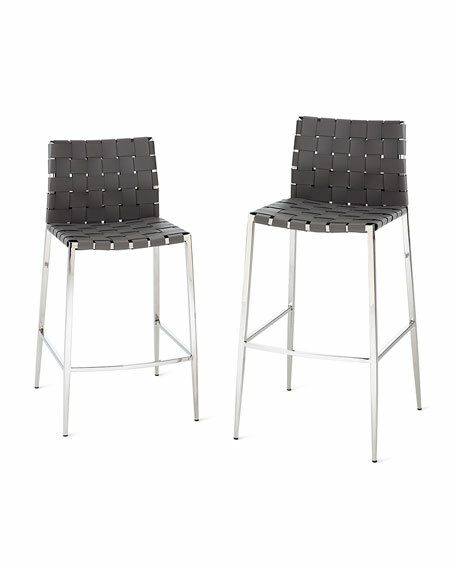 18"W x 21"D x 37"T.
Please note: This item is sold as a single stool.